Film director Gundeep Anand (centre) with a film crew shooting a video for Coca-Cola's ParkLives scheme in Newham, London. Find out more about ParkLives. In this interview, Coca-Cola GB speaks to film director Gundeep Anand about his unusual route into filmmaking, and how he approached creating two new films for its ParkLives programme. Gundeep, a 27-year-old filmmaker from London, will be first to admit that his journey to becoming a film director is far from traditional. 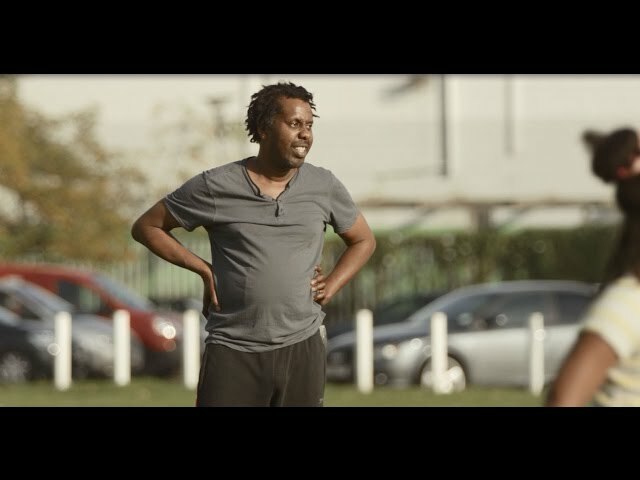 From civil engineer to sports coach, he's held down a number of different jobs, but his life completely changed when he took a chance and followed his heart, after Coca-Cola GB gave him the platform to showcase his movie-making talent. What is it you like about film? The reason I started getting into film is because it allows me to dream. I think films are really magical, the way you create dreams, and allow other people to dream. I think it’s the emotional factor, it’s the strings that pull at your heart. That’s what got me into it. When did you first start working with Coca-Cola? It was in 2012, I was volunteering with sports charity StreetGames, who have a partnership with Coca-Cola. They funded us to work on projects that bring sport to the doorsteps of young people in disadvantaged communities. We were in Shepherds Bush on an estate where they have “postcode” wars and police have hard time engaging with young people. It’s almost impossible. But sport is one way you can get through to them. We used Futsal, an indoor Brazilian football game, and brought people from different postcodes to play against each other, and realise how they share more similarities than differences. StreetGames then put me forward for an award in recognition of my work, and I was selected by Coca-Cola as one of London’s most inspirational coaches. Shortly after, Coke put me on a billboard and in a magazine to raise awareness about StreetGames. How did your first project come about? After the coaching, I stayed in touch with Liz Lowe from Coca-Cola who was managing their London 2012 Olympics campaign with StreetGames. She liked some of the photography work I’d recently done, and asked me if I wanted to photograph Olympic silver medallist boxer Amir Khan, who was their brand ambassador. I thought “it can’t be the real Amir Khan, surely” but it was, and I was super excited as he is one of my favourite boxer. How did the photoshoot go? I remember turning up on the day with just a camera, and Amir Khan was completely shocked. He said he’s used to seeing camera crews with flashes and loads of equipment. But I just said this is how I take photos. So that put a bit of pressure on me, but it went really well, amazing actually. He was really down to earth and supportive, and when he saw the photos – I’m not making this up – he said “I’ve never seen anyone without any equipment pull out photos like that!” That photo got printed on a massive poster, which is bigger than my bedroom. "They’re real people and they have their own emotions and lives to deal with, and this filming is just a small chunk of their day." Did this lead the way to other opportunities? Yes, as I got to do some film work for Nike, Premier League and Mayfair Hotel. But after a while I wasn’t feeling it, I lost what I loved and somehow ended up in Merrill Lynch for a year as project coordinator. I learnt a lot there but then every single day I used to regret what I signed up for and realised what I been missing from my life, and a friend mentioned a corporate video for Marks and Spencer and it really kicked off from there and I took the plunge and never looked back. It was scary at first but bravery paid huge dividends at the end. You’ve since created two short films for ParkLives. How did that happen? I kept in touch with Liz, and continued to share with her the work that I’ve been doing. She’s always been really supportive, and given me a lot of advice. One day she gave me a call and asked if I was interested in helping showcase the ParkLives scheme from Coca-Cola. What was the brief like? She wanted a film which could be used to inspire people to join ParkLives, try some of the activities at their local parks and meet new people. It’s not about making people the fastest runners on the planet, it’s about giving people that reason to get outdoors and enjoy their local community – for free! "I felt these films will not only benefit ParkLives, but they’ll also inspire young people and families to do more with their lives." Have you been to a ParkLives session? Yes, I went to a yoga session. I really enjoyed it – she had music playing and the sun was blazing. It was beautiful. So that really made me feel that more people should know about it. How did you approach the style of the films? I thought that if you try to reach everyone with these videos, you’re not going to reach anyone. So I asked myself, what is it we like to watch, share and talk about? Stories! There are so many people who have benefitted from the ParkLives scheme and have a story to tell, so we needed to add a human element to the videos. The more natural and the more organic we can make them, the better. 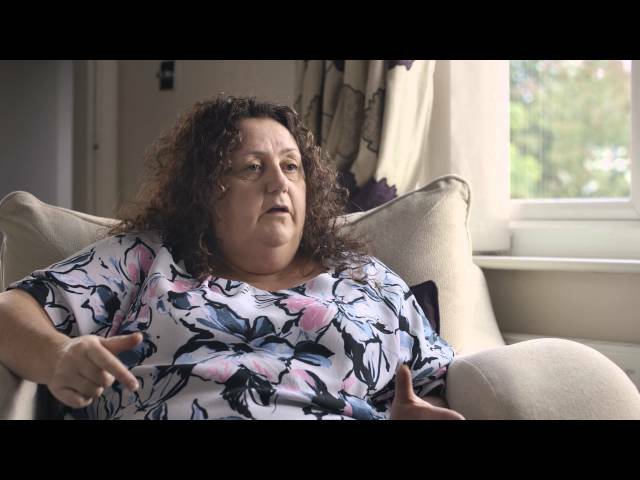 What was it you liked about Sue’s story, from Nottingham? We had loads of case studies from Nottingham, but there was something about Sue during the casting, when we were chatting over FaceTime. She was a bit shy, and didn’t think she was worthy of being filmed. She gradually started opening up about the impact ParkLives has had on her and her family, and her trust really won me over. She was so chuffed to be picked. What about Richard’s story from London? I’d heard lots about a rounders team in Newham, so I went to the session a few times and saw this guy called Richard and thought “Wow! He’s got a big mouth – he’s funny!” He managed to bring everyone’s mood up. We were all laughing and giggling, it was such a good atmosphere. All twenty of us went for dinner, and then I went back to Richard’s house and that’s when he told me all about his story. How did you get Sue and Richard to open up on camera? There was no tactic, it was just me being me. I felt these films will not only benefit ParkLives, but they’ll also inspire young people and families to do more with their lives. So I saw the bigger picture and when I met them that’s the first thing I said. It’s about leaving behind a legacy for other people. What were some of the challenges you faced with shooting on location? The weather, and the worry that people won’t show up to the sessions. They’re real people and they have their own emotions and lives to deal with, and this filming is just a small chunk of their day. Also, Sue’s session was quite hard to film as the equipment is heavy and there was lots of running around narrow paths around lakes that made it tricky but fun. What was your favourite memory from the shoot? Richard told me this hilarious story about a mum and daughter colliding while playing rounders. It was so funny, literally we had to stop filming for few minutes as everyone was cracking up on set. What do you hope people make of the videos? I hope that when people watch them it sparks something inside of their minds to say “you know what, I’m going to go to the park today” or “I’m going to do something with my family”. Even if for a second I can plant that seed then I’ll know I’ve succeeded. See more of Gundeep's work on his official website.